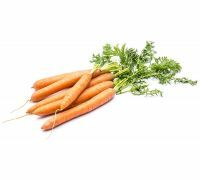 Carrot "Koral" (Daucus carota) is a late and very productive carrot variety recommended particularly for processing to juices, purees, frozen food and preserves. 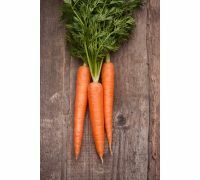 "Koral" carrot stores well and does not lose its nutritional nor gustatory assets in the process. It does not bifurcate, nor break, nor turn green, and it does not accumulate nitrates either. 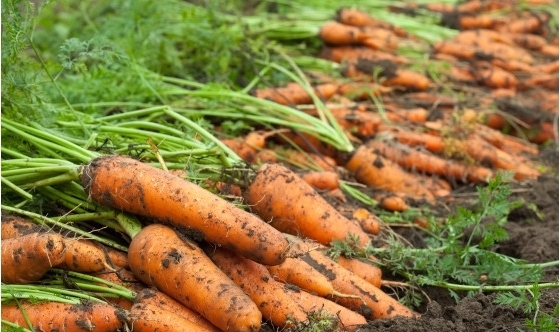 It produces long (20 cm), intensely orange roots that contain plenty of sugar, water and carotenes, what makes them exceptionally tasty, sweet and juicy. 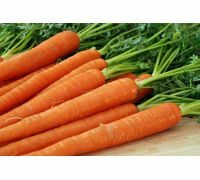 Carrot belongs to the most important vegetables in our daily diet. 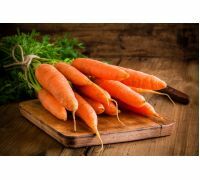 It remains available all year long, raw, frozen, preserved, in juices and dried. 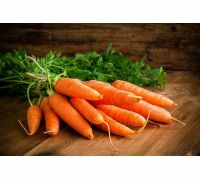 Carotenes that are a source of provitamin A are the greatest assets of carrots. 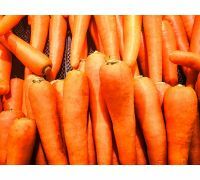 This vegetable also contains large amounts of calcium, phosphorus, magnesium and iron. 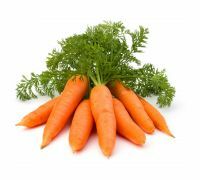 Carrot roots are rich in sugars, mostly sucrose, but raw carrots are still low-calorie vegetables. 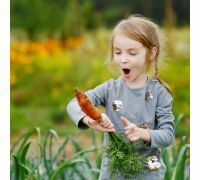 Carrot "Koral" is grown from sowing, intended either for summer and autumn harvest and consumption, or for winter storing. Seeds for the summer harvest are sown in April, and for winter storing in the first half of May. Seeds should be sown in rows in 30-40 x 5 cm spacings. After the sprouting you should thin the seedlings, leaving 5 - 8 cm distances between plants. 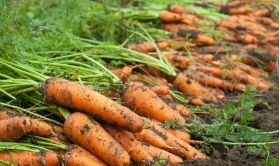 Light, sandy or sandy-clay, moderately moist and slightly acidic soils work best in carrot cultivation. 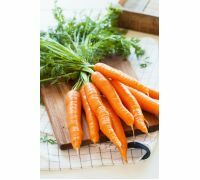 "Koral" carrot may be harvested from September to October. Treated seeds guarantee swifter, even seedling emergence. Young seedlings grow stronger and are resistant to harmful diseases and soil pathogens. 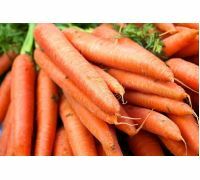 Package contains 5 g of "Koral" carrot seeds, as well as the sow-by date and growing instructions.